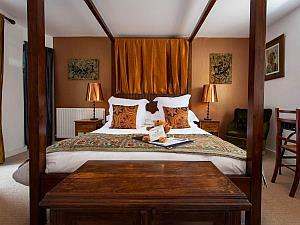 Augill Castle Guest AccommodationA Victorian fantasy, romantic, quirky, laid back and utterly beguiling. The ultimate escape. 'A truly amazing place' Les Routiers. 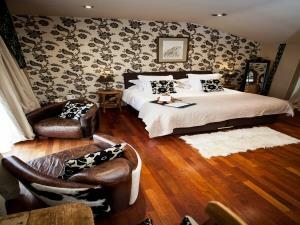 Huge bathrooms, beautiful beds, top quality linen, big fluffy towels. Fresh ground coffee, home-made biscuits and sherry in your room. 'Simon and Wendy have poured all their creative talent in to the palatial bedrooms and the results are stunning' Cumbria Life. Late breakfasts, leisurely brunches. Relaxed suppers and informal dinner parties. Guests have the run of the house or can shut themselves away in the privacy of their spacious bedroom. 'There is absolutely nothing stuck up or forbidding about this most relaxed of castles' The Sunday Times. A perfect place for families, the castle is truly family friendly. 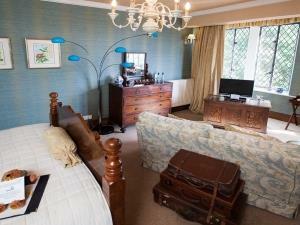 'A truly happy family atmosphere' Special Places to Stay. 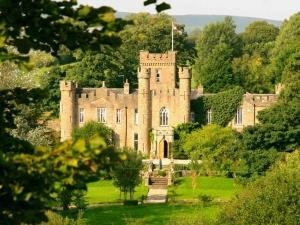 The castle is available for exclusive use hire as a unique celebration venue. A place to enjoy and be enjoyed. 'What a magical place to be married' The Independent. Winner of B&B/Guest Accommodation 2008, Cumbria Tourism. 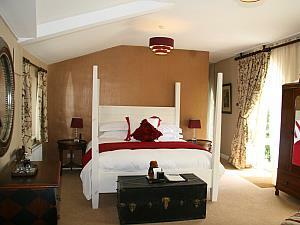 Augill Castle sometimes limits bookings to 2 or more days. Ground floor super king/twin room. With its own entrance from the garden, this room is flooded with light from huge gothic arched floor to ceiling windows. Level access to the main castle. Wheelchair friendly. Greystoke sometimes limits bookings to 2 or more days. A little castle within a castle, this is a suite of 2 family rooms, each with their own bathroom, adjoining the main castle but with its own entrance and garden. Downstairs is a king-size 4-poster and galley kitchen. Upstairs is a twin or superking bed. Priced as one room for two adults & 2 children. Can sleep 4 adults at an extra charge. Little Castle sometimes limits bookings to 2 or more days. First-floor king-size antique half-tester bed. Polished oak floors, a south facing bay window extending the entire width of the room and 19thC bathroom fittings updated for the 21st century. Middlesmoor sometimes limits bookings to 2 or more days. Part of the old orangery with huge arched Gothic windows opening onto your own secluded garden and the castle gardens beyond. King-size bed, with a fabulous contemporary bathroom. Interconnects with a day room which can accommodate 2 children. Priced as one room. Orangery sometimes limits bookings to 2 or more days. From A66 turn left at Brough onto A685 towards Kirkby Stephen. Take first turn left. Castle 0.5 mile on left. Could not put in words how magical our stay was and yer it was like being home as well.Cannot wait to return .